All vehicles booked in for a service or repair at MotorServ UK will get a complimentary service Wash & Vacuum. However when this is simply not enough, we are able to offer a lot more! FULL interior & exterior detailing service. Please call us or email us with your requirements, and we can discuss the available options with you. All the above services are carried out by tried and tested contractors at our premises, with all of our available facilities on site. We are a family-owned business and proud to offer dealer-quality vehicle services in Solihull, Birmingham and surrounding areas. Our team provides an excellent all-round service for surprisingly low prices. 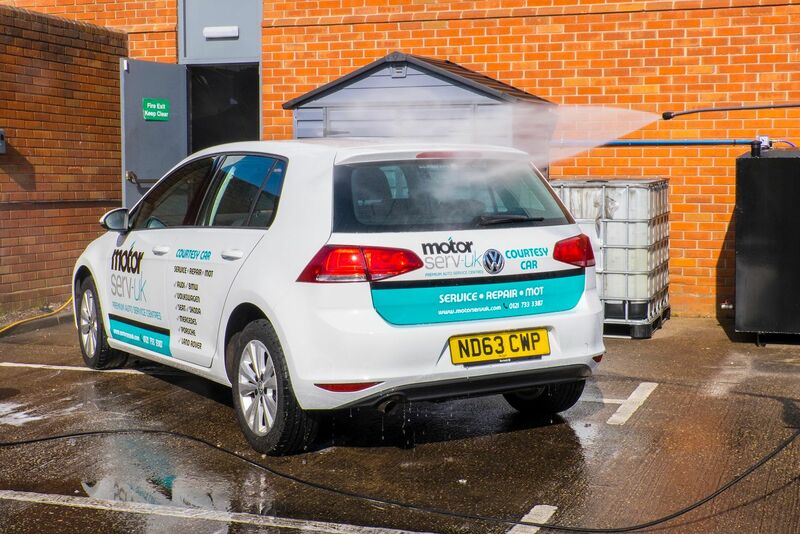 All vehicles booked in for a service or repair with MotorServ-UK will receive a complimentary wash and vacuum. This will mean your vehicle is nicely cleaned, free of charge, with any work done, from an oil change to a full service. It's the same kind of valet that you would normally expect to pay for at a hand-valet service. Your vehicle will be cleaned both inside and outside - this includes window cleaning, a tyre shine, and alloy wheels will be cleaned with a special detergent. The work will take least 30 minutes after the service has been done. All these services are carried out by our experienced staff on-site using our own facilities. We have a comfortable waiting area with free Wi-Fi and hot drinks. For your convenience, we offer a collect-and-delivery service. Gold Members can book up to four free valets per year and service customers will get their vehicle services as part of the service cost. When your vehicle needs some extra care, our contractor also offers a full range of valet services, including alloy wheel refurbishments; leather / interior repairs; minor paintwork and paint correction repairs; full interior and exterior detailing service. Whether you want to bring your alloy wheels back to their original glory, fix a minor scrape, or fully restore your paintwork, our contractor has the skills to help. Book your valet service online today or call the friendly team at MotorServ-UK!